Just like any other type of siding, brick can easily become stained, dirty or damaged. This can destroy the exterior appearance of your house and weaken the structure of your brick walls. When your brick’s appearance isn’t living up to proper standards, it is time for a professional brick cleaning service. 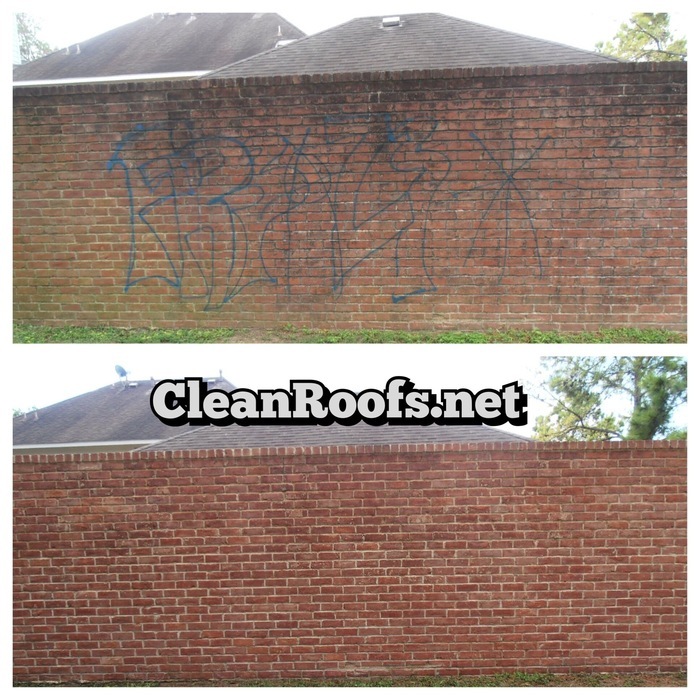 As a professional roof cleaning and power washing company, ARCOT provides brick cleaning services to the residents of Houston Texas and the surrounding areas. We are a professional company that provides high quality brick cleaning services, which will make your house look brand new again. Brick is a strong, sturdy siding choice for any type of house or business, but it is still vulnerable to damages from the harsh elements. Rain that falls heavily can cause dirt and grime to backsplash onto your brick walls, which will leave them covered in dirt. If you have a well pump, the high iron content in your water can easily stain your brick and turn it an unappealing orange color. The professionals at ARCOT provide a service to get rid of these stains from you exterior of your house. When it comes to cleaning brick siding, we recommend using our soft wash process. This process involves the combination of eco-friendly, chemical solutions with a low from a low pressure machine. A brand new house is warm and inviting. The brick on the outside of a brand new house looks amazing. Unfortunately, overtime even the nicest brick will become stained and dirty. This can decrease the resale value of your house dramatically, and make your house look unappealing. Our brick cleaning services will have your house looking brand new again. You can trust our expert cleaners to handle your home’s brick siding with care and professionalism.